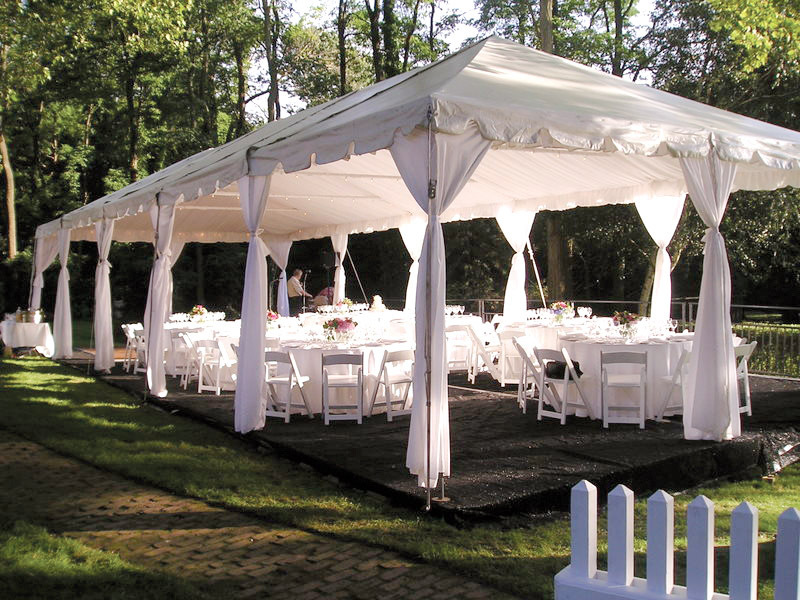 Frame tents are “free standing” tents with no poles inside for roof support. They can be anchored using stakes or water barrels. 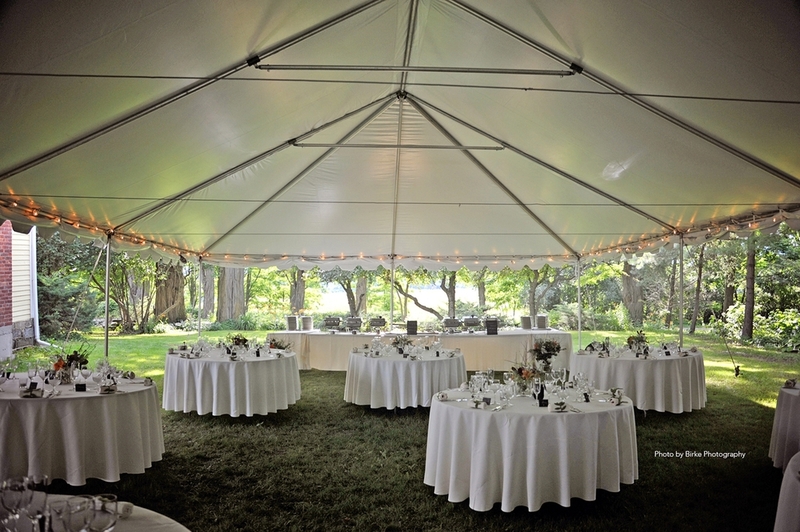 We have several styles of frame tents in our inventory. Price includes installation!